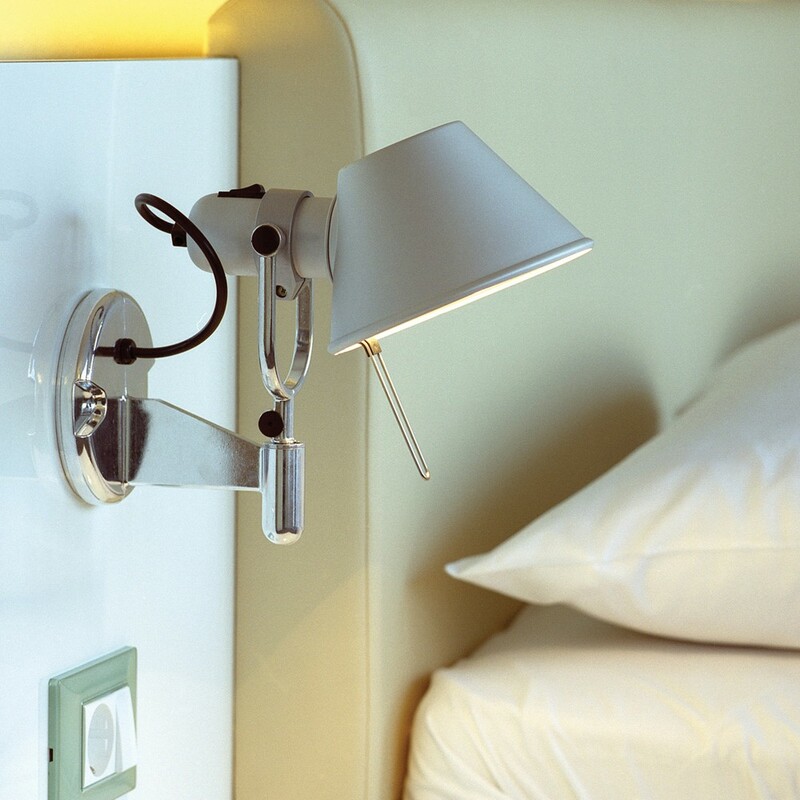 The AJ Table Lamp was designed by Arne Jacobsen, among other lighting fixtures, for the SAS Royal Hotel in Copenhagen. The AJ Table Lamp is on the same principles as the AJ floor, but due to the useability as a working desk lamp the shade has been expanded. 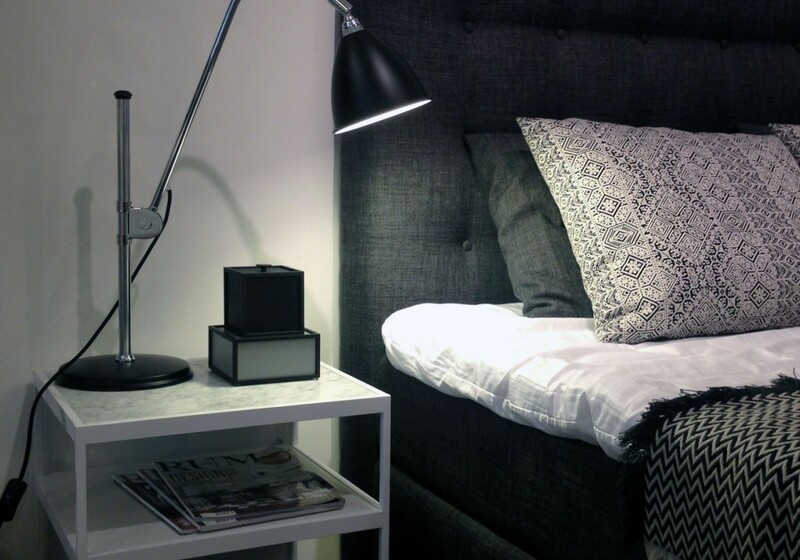 The base of the table lamp was originally intended to accommodate an ashtray but now contributes solely to the design. 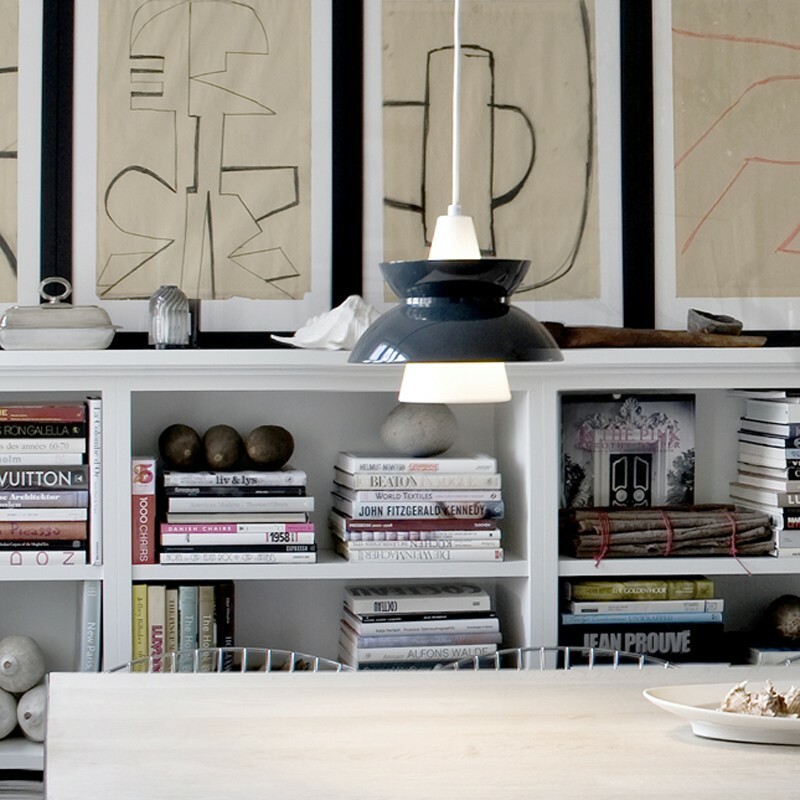 The lamp is produced by Louis Poulsen. Lamp by Verner Panton. An object cannot become a design icon until it has stood the test of time and appears quite naturally in different settings, giving it a symbolic aura of its own. FlowerPot is just that. 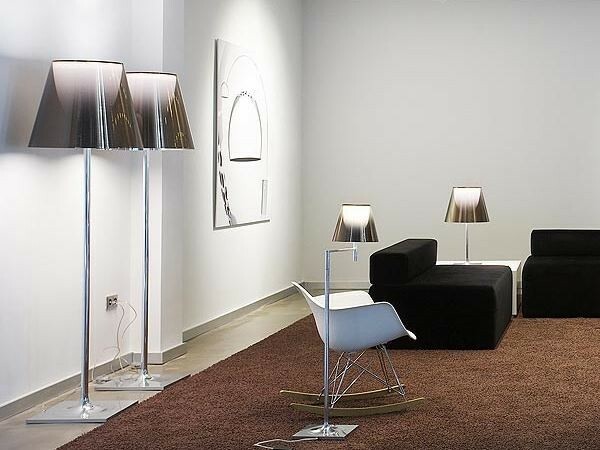 The famous lamp, designed in 1968, was named after the happy days of Flower Power. Of the lamps Verner Panton designed, FlowerPot stand out as some of the simplest and most memorable designs. Hang On Honey is based on a simple, novel idea: You hang the shade directly on the bulb. The shade is held against the bulb with silicone knobs. It is easy to replace in order to enjoy another shade in a different colour when you feel like it. 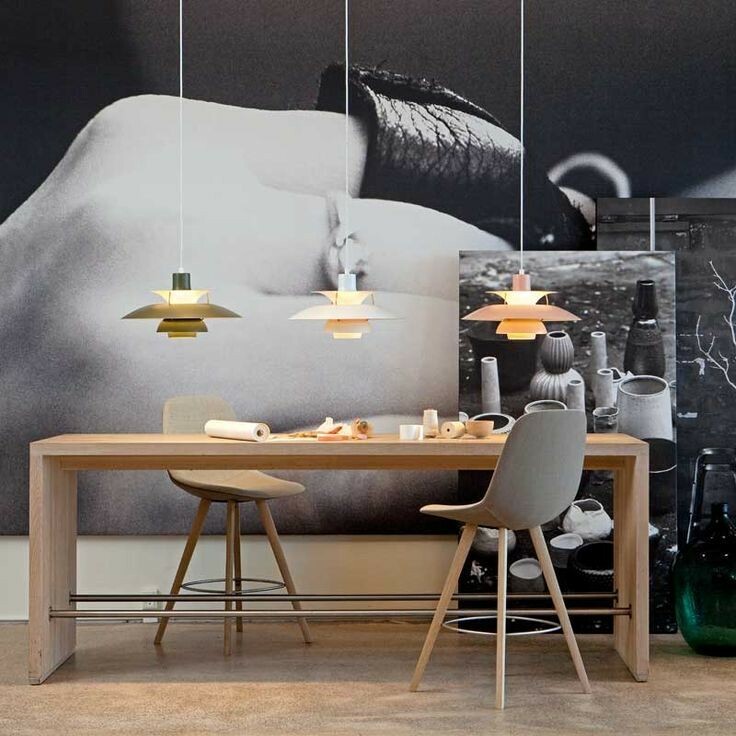 The elegance of the varnished shade, the shape of the shade, the high light output, the custom-made lampholder and last, but not least the silicon knobs – everything for this lamp has been designed, down to the last detail. A simple, yet sophisticated design. Berenice Lamp by Alberto Meda and Paolo Rizzatto. Produced by Luceplan. The smooth articulation of its movements and its perfect stability make Berenice the light that can be moved around without taking up valuable space and with the least trouble. Berenice operates with a transformer that allows low tension current to reach the bulb through the rods without electrical cable, thus leaving its figure slender and elegant.